Thunder Bay Island is situated in the center of the Thunder Bay National Marine Sanctuary and Underwater Preserve. In 1846, the first store in Alpena County was built on the island to support a fishing community, which harvested twelve thousand barrels of fish. At this time, 160 inhabitants called the island home, and operated a fleet of 31 fishing boats. 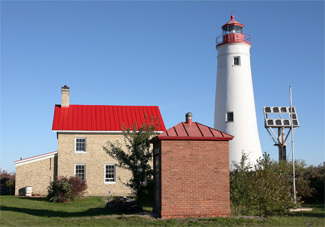 The first light tower established on the island was constructed in 1832, making it the second oldest light tower still standing on Lake Huron. Jesse Muncy was the station's first keeper, and he kept the light to warn mariners of the dangerous limestone reef extending from the island to the north point of Thunder Bay. The original tower was constructed of stone, stood forty feet tall, with a diameter of twenty-one feet at the base and over eleven feet at the top. The tower was raised ten feet in 1857 to improve its visibility, and the focal plane increased to sixty-three feet above lake level. The present keeper's dwelling, which was erected in 1868, stands 28 feet by 43 feet in plan, and is connected to the tower by a covered walkway. The steam fog signal building was established in 1893. The light station was managed by the US Lighthouse Service until 1939, when responsibility for the nation's aids to navigation was transferred to the US Coast Guard. The station was automated in 1983, and the Coast Guard crew reassigned. 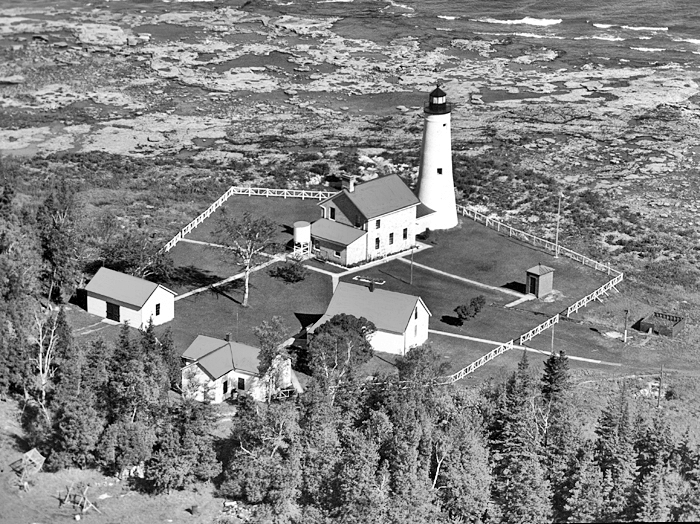 The station was placed on the National Historic Register in 1984, and sat empty and subject to the worst that Lake Huron and vandals could throw at it until 1996. Click here to view an island chronology. To learn more about Thunder Bay Island, consider purchasing the Society's new bookLanterns and Lifeboats. Researched and written by Society Historian Steve Tongue, the book tells the complete story of the island's rich history.